My master ordered Chinese food the other day and he forget to give me my fortune cookie so early today I ask for it…and my fortune was: People find it difficult to resist your persuasive manner. 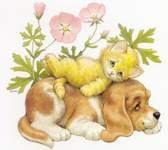 I was following the Pawlimpics at Lenny’s blog and everybody is doing great performances. I got a little busy and forgot to say thank you for some awards. Thanks Mielito for the Cool Cat Award. I want to pass this award to my friends Gunther, Pelayo, Ofelia, Nano, Jaffe, and Ronak. Mi master ordeno comida china el otro día y olvido darme mi galleta de la fortuna, hoy día temprano le pedí que me lo diera y mi fortuna fue: Las personas encuentran difícil resistirse a su manera persuasiva. He estado siguiendo las Perroolimpiadas en el blog de Lenny y todos están haciendo grandes performances. Estuve un poco ocupado y olvide agradecer por los premios que me dieron. Gracias Dark, Lenny y Rene por el Premio Arte y Pico. Gracias Thor por los 3 premios: Red Puffy Heart, Brillante y el Friendship Award. 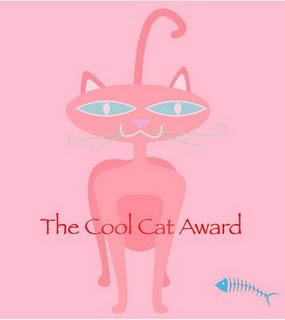 Gracias Mielito por el Cool Cat Award. Quiero pasar estos premios a mis amigos Gunther, Pelayo, Ofelia, Nano, Jaffe, y Ronak. Oh I've never had a fortune cookie. Was it really really good? That's a perfect fortune for you, Girasol! We love fortune cookies too! Es dificil resistirse a ti! Nunca provei biscoito da fortuna! Isso é saboroso? Congratualtions on all thsoe awards Girasol. Being persuasive comes in handy when snacks are around. We've never had a fortune cookie before but would like to try one. Congratulations of many on award. 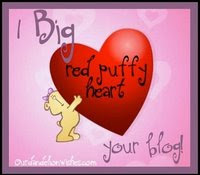 Award of wonderful blog runs through in the world. And, it is Fortune cookie of the change of the Chinese cuisine. The seasoning is necessary for the taste and how to make the Chinese cuisine.